Fifty chef-created recipes-some classic, some boundary pushing-for America's favorite sandwich, the grilled cheese. A fresh take on the beloved American classic, from the classic white bread with American cheese to "The Champ" (a taleggio and short rib extravaganza); the "Johnny Pastrami," which combines pastrami with the bite and freshness of apple chutney; and "The Tomater" with creamy mozzarella and a sun-dried tomato spread. Featuring both common and elevated ingredients like brie cheese, poppy seed bread, olive tapenade, fig marmalade, smoked salmon, candied bacon, bourbon-glazed ham, and raisin walnut bread, these are recipes that invite you into new and uncharted grilled cheese territory. 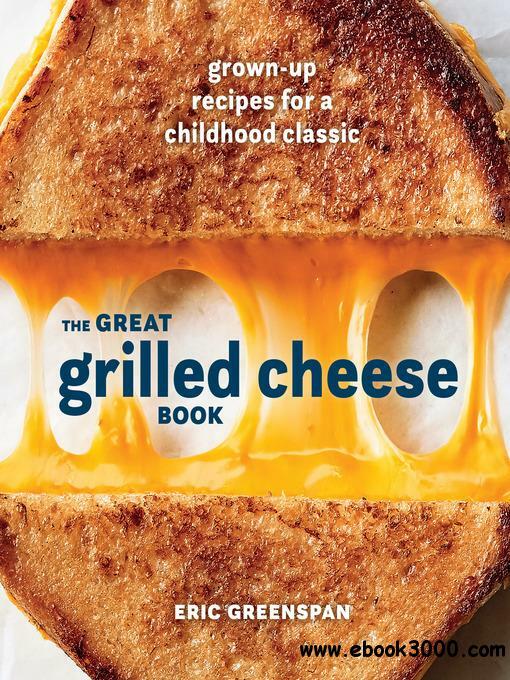 With notes on the best cheese and breads and pro tips for the best cooking techniques, this book has something for every taste and is guaranteed up your grilled cheese game.